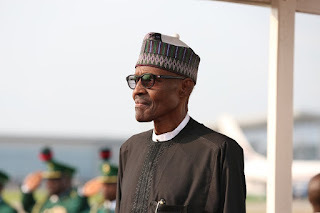 President Muhammadu Buhari yesterday led the flag-off of the campaigns of the All Progressives Congress (APC) governorship candidate, Dr Tony Nwoye in Onitsha. Buhari, represented by Vice President Prof Yemi Osinbajo, told a huge crowd that gathered at the All Saints Cathedral field that he had so much love for the state. He enjoined the people of the state to ensure the party’s candidate, Nwoye who he described as the best, was elected on November 18. The vice president led a huge number of bigwig politicians from the party, including 12 governors, 10 senators, 17 ministers, five deputy governors, the national chairman of the party, Chief John Odigie-Oyegun and former governor of old Anambra State, Chief Jim Nwobodo during the rally. Osinbajo said, “Buhari loves Anambra State. This is one state that is dear to him. When he ran for president the first time, he chose one of your sons, Chuba Okadigbo as his running mate, when he ran the second time, he chose your son too; Edwin Umezuoke as his running mate. It is because of this love that the president himself went to negotiate for the second Niger Bridge, and that is why that bridge is in the budget today. “Anambra was among the first state to benefit from our home grown school feeding programme. We will not make any promise that we will not fulfill. If you make the right choice, you get the right result. That is why we are giving you Tony Nwoye,” Osinbajo said. National Chairman of the party, Chief Odigie-Oyegun while addressing the crowd said APC was ready to remove the government in power in the state, and that it would not be a new feat for it as it has removed a sitting government before and was ready to do so again in Anambra. He insisted that the only option for the Igbo nation to take their proper place in Nigeria was to be connected to the centre by joining the APC. “Nigeria is standing on a tripod, and one leg of that tripod is missing, and that one leg is Igbo. We need Anambra, I insist that the only sure path for the Igbos to national leadership is to join the APC,” he said. Meanwhile, Imo State governor, Chief Rochas Okorocha has begged Anambra people to give him a brother-governor to be with him in Abuja to strengthen his lone voice during arguments among the party’s governors’ caucus. The party’s candidate, Dr Nwoye during his speech called on the people of the state to take him by his words as they remain his bond. He said he would work hard to return Anambra to the path of greatness again if elected next moth. He said Education and job creation would constitute the major trust of his government as he would work to boost the standard of education by slashing fees, payment of bursary and ending youth joblessness. The high point of the rally was the handing over of the APC flag to the candidate, Nwoye by the national chairman of the party. Similarly, the National chairman of People for Democratic Change(PDC), Alhaji Mudi Waziri has handed the flag of the party to its standard bearer, Peter Chibuike for the same election. Waziri who was represented by the state chairman of the party, Hon Isaac Onuka said the presentation was symbolic, urging the candidate to fly the party’s flag in the election with dignity, but insisting that only God makes a leader, and as such, it would not challenge whoever wins the November 18 election. Chibuike said Anambra needed someone with passion, foresight and strength to take her to the next level of development, and that he represents that perfectly.